One of the amazing things about producing Just One More Book!! 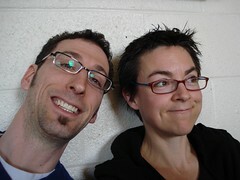 is getting geek out on subjects of literature and literacy with the incredible people behind children’s books. 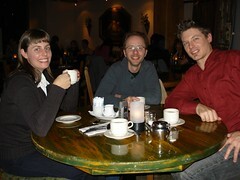 One such occasion took place at the Steamworks Brewing Company in Vancouver this past November. Mark had dinner with young adult fiction novelist James McCann, children’s book illustrator Kirsti Wakelin, and children’s book author and illustrator Lee Edward Fodi. A portable recorder sat on the table and captured the entire conversation – two hours worth – and it was all great. However, two hours is more than practical for a podcast. So, we’ve grabbed about twenty minutes for this edition of Just One More Book!! and more of the recording will be made available on markblevis.com in the coming week. Follow the JustOneMoreBook.com website for links to more of the conversation when it’s made available. Enchanting moonlit expanses, snappy, intelligent narration and plenty of clever details turn the tiny personal experience of that awkward first crush into a sweeping, surreal adventure that feels almost as big as infatuation. 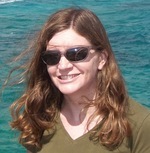 You can hear a JOMB chat with Marie-Louise Gay here. You can read more about Stuart McLean here. Sixty photographs packed with joy, beauty and palpable excitement tell the inspiring, true story of five beautiful girls and the determination that made their dancing dreams come true. Relatable characters and stories facilitate a strong connection between the reader and the book. It doesn’t matter whether or not the stories are real, only that the reader can relate to the feelings that are core to the story. The same is true for the characters. 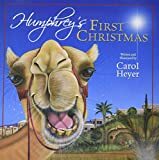 A great example is Humphrey, the lovable grumpy camel in the picture book, Humphrey’s First Christmas. On this edition of Just One More Book, Mark speaks with author, illustrator and artist Carol Heyer about creating a relatable character, how a career as a storyboard artist and screen writer can prepare you to be a children’s book illustrator and author and how her philosophy helps her love her work. You’d think it would be easy to pick favourite children’s books. Indeed, that’s what Mark thought. As it turns out, there are far too many amazing children’s books, authors and illustrators to limit ourselves to just ten choices. Even so, Mark suggested we try compiling our Desert Island 10 — books we’d need to have with us if we were stranded on a desert island. The list that follows captures the names of books, book series and authors mentioned. Are you brave or crazy enough to create your own Desert Island 10? Share your list as a comment on this post, send your MP3 recorded or type-written list via email to justonemorebook@gmail.com, or phone it in to our listener feedback line (206-350-6487). * Congratulations to Andrea Beaty. Her book, Iggy Peck, Architect, is one of Time Magazine’s top ten children’s books of 2007! Warm, evocative illustrations and beautifully worded, thought provoking narration make this fictional encounter with poet Emily Dickenson a stirring introduction to poetry, eccentricity and the power of understanding. You can read more about social anxiety in children’s book here. There’s a feature of children’s books that’s often talked about, though a surprisingly high number of people are not willing to admit; you don’t have to be a child to enjoy one. In fact, you don’t even need to have a child to pick up a children’s book and read it. Those who are in on that belief are passionate about children’s books in a way that’s near impossible to measure. Take, for example, Jen Robinson. In many ways, she’s redefining that passion. Her blog, Jen Robinson’s Book Page, is a showcase piece of the kidlitosphere, a community of bloggers and podcasters that promote children’s literacy, picture and young adult books and the people behind them. On this edition of Just One More Book!, Mark speaks with Jen Robinson about her love of children’s books, the tools she uses to promote literacy and tackle literacy related issues, and a new children’s literature portal. We’re thrilled to announce that Just One More Book! is currently featured in a generous article in the December 2007 edition of Borderlines — the quarterly electronic newsletter of the Society of Children’s Book Writers and Illustrators, Midsouth Region. BorderLines is a free online newsletter providing helpful articles and tips to those interested in the children’s publishing industry. Thank you to Karen Knox for her very kind words and for introducing friends and colleagues to our show. 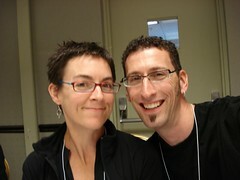 Welcome SCBWI members! We hope you’ll return often and we’d love to hear your thoughts on a favourite children’s book. Send your MP3 recorded or type-written review in email to justonemorebook@gmail.com, or phone it in to our listener feedback line (206-350-6487). Who says there’s no life in Ottawa? Ottawa Life Magazine celebrates the best of life in our nation’s capital and this month that celebration includes a substantial article about our Just One More Book! podcast. If you’re an Ottawa Life reader who’s popping in for the first time, welcome! We hope you find some new favourite children’s books — and that you’ll tell us about some of your old ones.